as a teenage girl in the suburbs of chicago, josie was very quick to become recognized within her town from a young age. at just her junior year of high school she was spending the first week of each month in nashville writing for artists such as jacob sartorius and kelly clarkson. 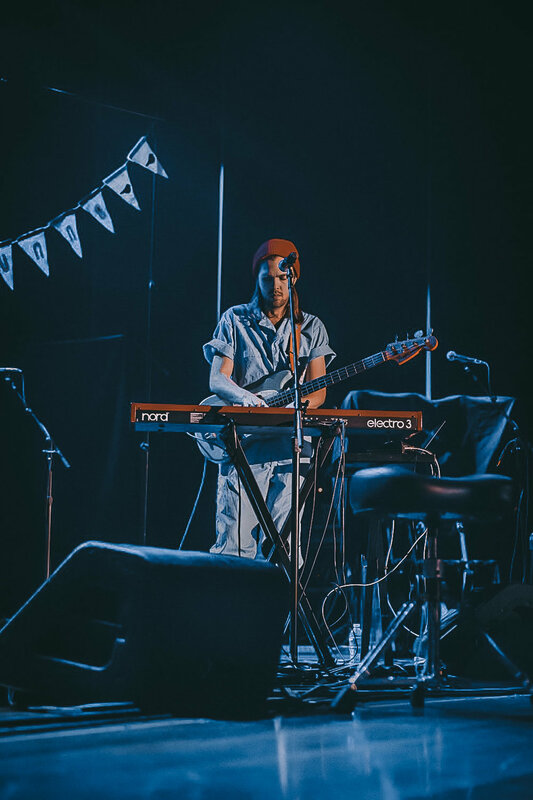 now at 22, amidst the release of her first ep, ‘to be the little fish’ and her latest single, ‘mute’, josie dunne sits in her dressing room getting ready to take the stage of the thomas wolfe auditorium in asheville, north carolina opening for ben rector. currently, on the road with ben rector and just finishing off a tour with julia michaels, josie also released her latest single, ‘mute’. The song, starting off with a panning flute intro, pulsing drums, and phenomenal dynamic changes, leading into a pause or ‘mute’ in the chorus followed by an explosion of sound, ‘mute’ basically tells the story of the awkwardness of communication within developing a relationship while still being attracted to someone. to highlight josie’s past love experiences, she was asked the story of her first date. “i don’t even know if i remember!” she says before recalling the memory of her fifth grade boyfriend, ben. “i asked him out and I remember all of our friends sat in a circle and we played truth or dare. I hugged him and I think I was definitely pretty forcive about it.” she laughs.